Emma Harper MSP has praised the ‘bravery’ and ‘dedication’ of the Galloway Mountain Rescue Team following a Parliamentary debate on the legacy of moutaineer, Sir Hugh Munro, who was the first person to chart Scotland’s highest mountains over 3,000 feet, now named the ‘Munros’. While South Scotland doesn’t have any Munros, it has plenty of mountains and hills called ‘Corbetts’ and ‘Donalds’ which attract thousands of visitors each year, on which mountain rescue teams can be required to save hillwalkers who are injured or in distress. 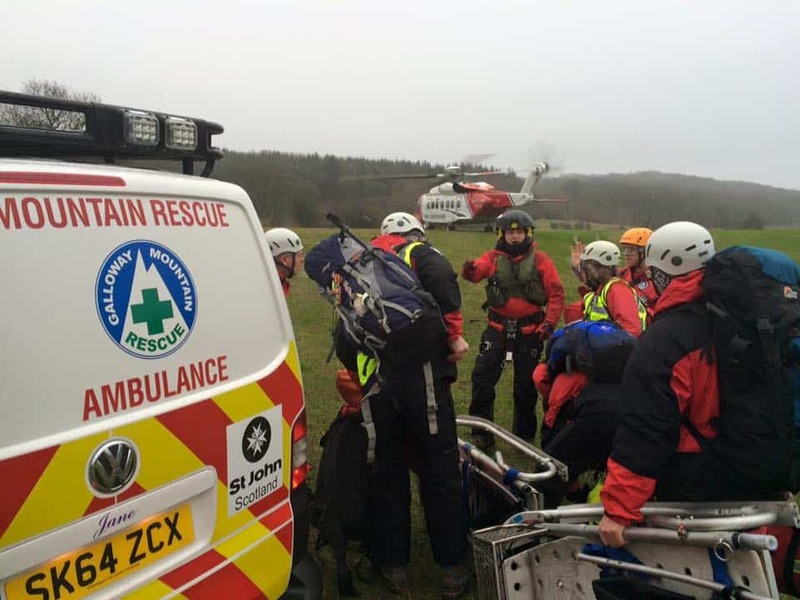 The South Scotland MSP highlighted the work of Newton Stewart’s Galloway MRT, which was formed in 1975 and have responded to over 420 incidents, including one as recently as the 9th March. “I would like to say thank you to Scotland’s mountain rescue teams. In the South West we have the Galloway Mountain Rescue Team, a charity in Newton Stewart which provides rescue services in the Dumfries & Galloway and South Ayrshire area. “Like other mountain rescue teams, Galloway MRT is a charity run by volunteers who give up their own time and when called upon put their life in danger to rescue those who are injured or in distress in our mountains and hills. “I commend the bravery and dedication of Scotland’s mountain rescue teams, including those in my South Scotland Region such as Galloway MRT, Moffat MRT and the Border Search and Rescue Unit.